Doyle spoke Tuesday as Republicans prepared to take action on a number of bills to strip key powers of Gov.-elect Tony Evers and Attorney General-elect Josh Kaul. He compared the transitions he had with Republican opponents he defeated to become attorney general and then governor and said what's happening in Wisconsin "is completely different." He said former Republican Gov. Scott McCallum was "nothing but gracious and open and accepting" when Doyle defeated him in 2002. "Even when he was on the losing end of that he was committed to making sure that people understood that it’s our democracy that matters more than whether one party or another holds onto power," said Doyle during a press conference at Boardman & Clark law firm in Madison prior to the Senate and Assembly sessions. As attorney general, Doyle said he had "big battles" with then Republican Gov. Tommy Thompson but Thompson never tried to take power away from that office. "Never once when he was angry with (my office) did he ever go to the attorney general’s power," Doyle said. 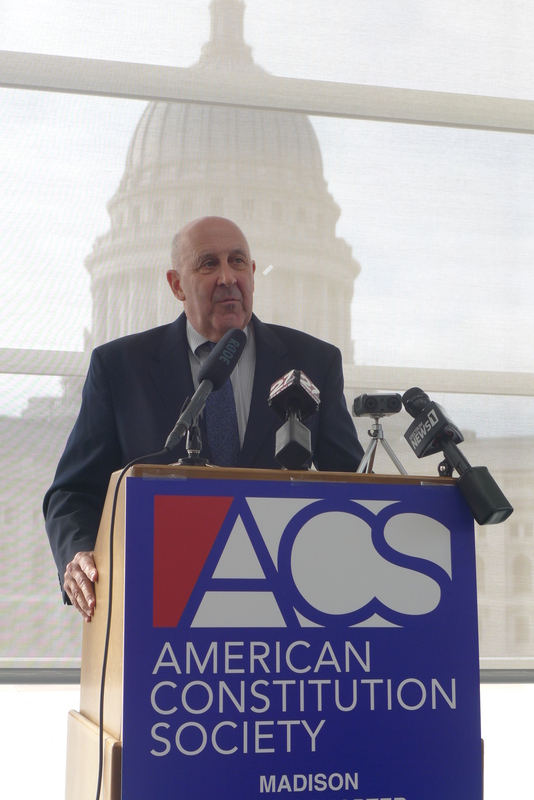 The press conference was held by the state chapter of the American Constitution Society, which was founded after the U.S. Supreme Court’s Bush v. Gore decision. According to the group, the Republican proposals would privatize vital functions of the state attorney general's office. One of the proposals up for vote Tuesday is a measure that would make it possible for lawmakers to hire a private attorney using state tax dollars instead of relying on the Wisconsin Department of Justice. "The attorney general is an attorney, attorney, attorney general," said Doyle tapping the podium for emphasis. "He or she is the person who appears in courts. It's not the Legislature or the Joint Finance Committee that goes into court to represent the position of the state of Wisconsin. It is an attorney." He slammed the GOP proposals "as unconstitutional violations of separations of powers." Editor's note: This story was last updated with additional reporting at 2:07 p.m. Tuesday, Dec. 4, 2018.